Home News & Publications News Pavement preservation: When, where, and how? Whether a highway pavement is constructed using asphalt, concrete or a composite system, traffic loads and environmental elements will contribute to its deterioration over time. Pavement preservation treatments can slow this structural decline. When the right treatment is applied at the right time with quality materials and construction, these practices offer a proven, cost-effective approach to extending the overall service life of pavements and achieving smoother, safer roads with fewer costly repairs. Preservation includes work that is planned and performed to improve or sustain the condition of the transportation facility in a state of good repair. Preservation activities generally do not add capacity or structural value, but do restore the transportation facility’s overall condition. Just as pavements differ, so do pavement preservation treatments. There is an array of different analyses, treatments, and construction methods that can help infrastructure owners achieve and sustain a desired state of good repair for their transportation facilities—despite tight budgets. The “when and where” component of this innovation, as part of the fourth round of Every Day Counts (EDC-4), supports preserving highway investments by managing transportation pavements proactively. The “how” component promotes quality construction and materials practices, including treatment options that apply to both flexible and rigid pavements. Historically, pavement preservation programs have focused on applying specific project treatments at specific locations. These projects demonstrated that the proper application of a treatment could extend the life of a pavement at a relatively low cost. However, not all projects were successful due to poor timing, inappropriate treatments, substandard materials, and inexperienced construction crews. As a result, the policy in many agencies today is to allow pavements to deteriorate until reconstruction is the only option, resulting in higher costs and more pavements in poor condition. Economy. Whole-life planning for pavements defines expectations and risks for the long term and provides more stability to the cost of operating and maintaining highway pavements. Performance. Identifying preservation policies and strategies at the network level provides a cost-effective alternative for extending the performance period for pavements and reducing the need for frequent or unplanned reconstruction. Sustainability. A well-defined pavement strategy that includes preservation will aid in setting achievable performance targets. Pavements deteriorate as a result of many different forces, but the predominant factors affecting pavement performance are the vehicle loads and environmental elements they are exposed to over their lifetime. Today, most highway agencies accept that an effective pavement preservation program will slow down the rate of pavement deterioration, while also providing a safer, smoother ride to the traveling public. Pavement preservation programs based on the 3Rs—right treatment, right pavement, and right time—have been proven to extend pavement life while saving money. One obstacle to successful pavement preservation is the impact that treatment failures can have on an entire program. Whether it is a failed patch, stone flying off a chip seal, or a microsurfacing that peels off because it did not set, even a single failure and the associated damages can set back an agency’s program for many years. However, most early failures can be attributed to a breakdown in some part of the construction process, such as the materials, site preparation, or placement practices, and as such are avoidable. EDC-4 is promoting quality construction and materials practices that apply to both flexible and rigid pavements. For flexible pavements these include 1) using improved specifications for thin asphalt surfacings such as chip seals, scrub seals, slurry seals microsurfacing, and ultrathin bonded wearing courses; following improved construction practices; and 2) using the right equipment to place these treatments. Rigid pavement strategies include 1) the rapid retrofitting of dowel bars to reduce future faulting; 2) the use of new, fast-setting partial- and full-depth patching materials to create a long-lasting surface; 3) advanced pavement removal techniques to accelerate patching construction times; and 4) advancements in diamond grinding that contribute to smoother and quieter pavement surfaces with enhanced friction. Far too often, the past response to a construction failure has been to introduce bans or moratoriums on using treatments that have otherwise been proven effective. By following the best practices for materials selection and construction practices, pavement preservation will be less disruptive and safer while also eliminating much of the “fix-the-fix” problems endemic to many conventional pavement repair and rehabilitation techniques. Improved construction practices allow agencies to continue to use treatments that are proven to be effective, enabling them to realize the benefits of these techniques. Safety. The treatments are typically installed in shorter work zones and during off-peak hours, reducing the likelihood of work zone incidents. Improved skid resistance is a key functional benefit of preservation. Performance. 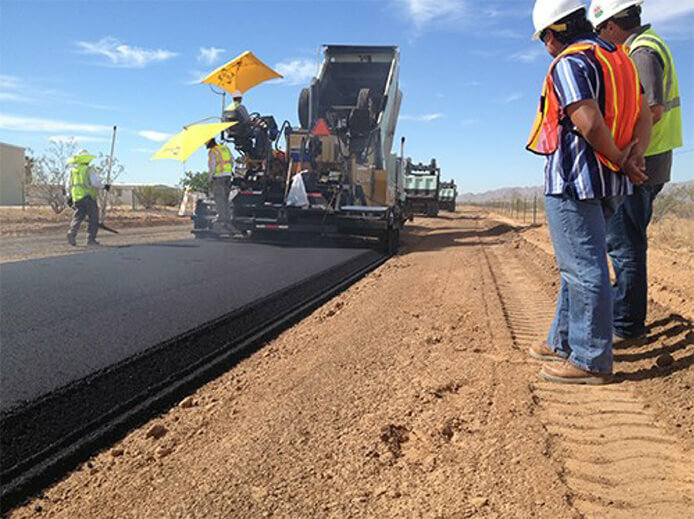 Successful construction practices contribute to improved pavement performance, providing smoother and safer roads and delaying the need for time-consuming and costly rehabilitation. Flexibility. Retaining a mix of successful treatments in the preservation toolbox provides agencies greater flexibility in placing the right treatment on the right pavement at the right time. Savings. Improved performance and fewer failures keep a pavement network in a state of good repair at a lower cost. This newsletter is published biannually by the New Jersey Local Technical Assistance Program, Center for Advanced Infrastructure and Transportation, Rutgers University, using funds from the Federal Highway Administration and the New Jersey Department of Transportation. The opinions, findings, or recommendations expressed in this newsletter are those of the New Jersey Local Technical Assistance Program and do not necessarily reflect the views of the Federal Highway Administration nor the New Jersey Department of Transportation nor Rutgers University. Any product mentioned in this newsletter is for information purposes only and should not be considered a product endorsement.